The US Navy is currently testing a microbial fuel cell powered underwater device that, instead of harvesting electricity from microbial cell growth like most microbial fuel cell devices, harvests gas and heat to provide buoyancy and a small amount of energy for its low-power sensors. The device is called the Zero Power Ballast Control (ZPBC) and the Navy hopes to eventually use it to visually monitor the ocean’s depths and to monitor ocean temperatures over long periods of time. 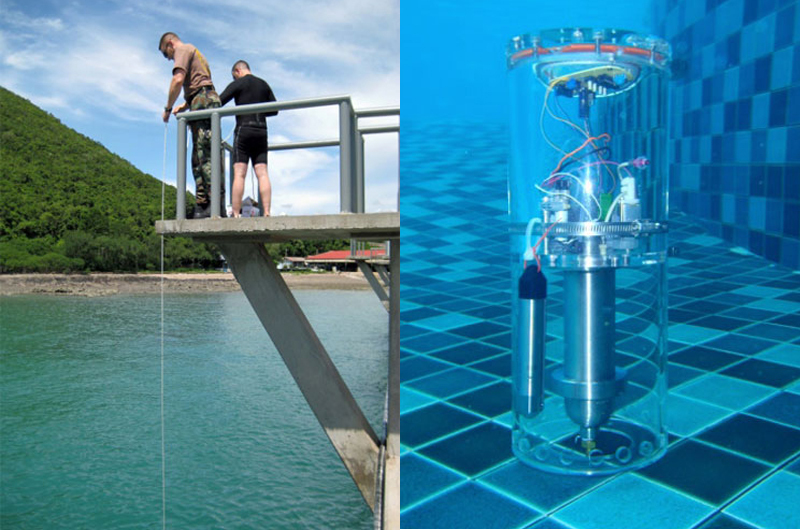 The Navy tested the ZPBC device off the coast of Thailand and the researchers who created the device hope it will eventually be totally autonomous. For this first test the device was tethered to a nearby ship and sent into the sea for a period of seven days. The device is comprised of two chambers – the top chamber is a dry chamber that holds the necessary sensors and electrical equipment and the bottom chamber is the gas chamber that increases in pressure as the bacteria inside grow. 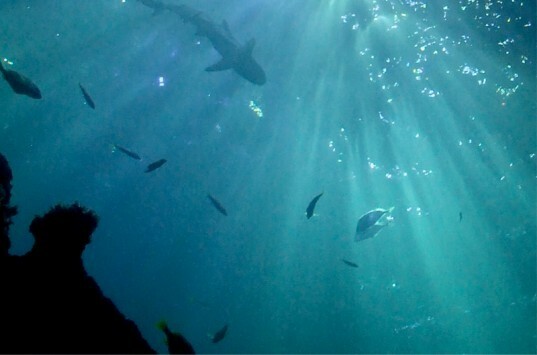 As the pressure increases and decreases the device is able to sink to the ocean floor and float to the surface without a mechanical propeller. “Preliminary trials were successful in many ways,” said Dr. Justin Biffinger, who was involved in the research and testing. “The device surfaced and submerged periodically as designed via hydrogen gas produced from the microbial inoculum and growth medium, proving the device generated gas in sufficient quantity to produce buoyancy.” The device is capable of using a low-energy timing device that regulates the microbial growth allowing the device to sink and resurface on demand. In future tests, they hope to attach a geo-referencing device so that the ZPBC can go untethered. The Navy’s list of future jobs for this gadget include Intelligence Surveillance and Reconnaissance (ISR), Anti-Submarine Warfare (ASW), Mine Warfare (MIW), Naval Special Warfare (NSW), and Meteorology and Oceanography (METOC) research — sounds like this bacteria powered gadget is headed to the higher echelons of Naval intelligence. The US Navy is currently testing a microbial fuel cell powered underwater device that, instead of harvesting electricity from microbial cell growth like most microbial fuel cell devices, harvests gas and heat to provide buoyancy and a small amount of energy for its low-power sensors. The device is called the Zero Power Ballast Control (ZPBC) and the Navy hopes to eventually use it to visually monitor the ocean's depths and to monitor ocean temperatures over long periods of time.